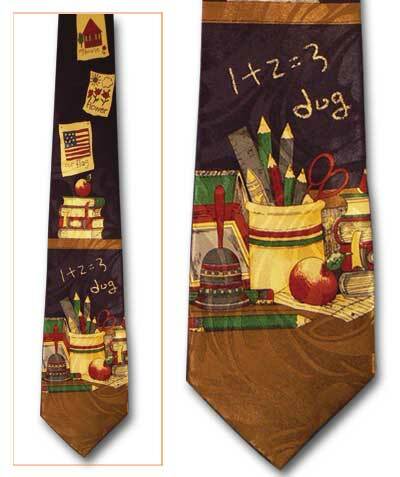 Classroom Basics Classic Novel Necktie [AU77047] - $17.95 : Gifts for Educators!, Education-themed gifts for teachers, students, school personnel, family and friends; including awards, bells, school bells, teacher bells, ribbons and much more. A fine quality tie with a value that far exceeds its price. Most of our ties are made of man-made materials with a variance of silk content. Measures approximately 3-3/4" to 4" wide; standard length 55" to 58". Each tie comes gift boxed.